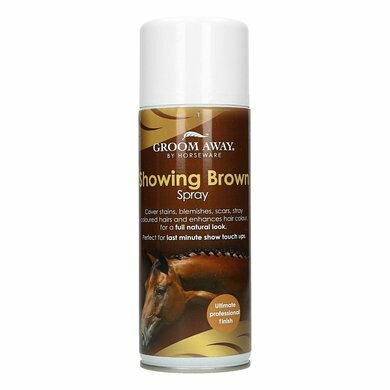 The Show Brown Concealer of Groom Away, is part of Horseware. 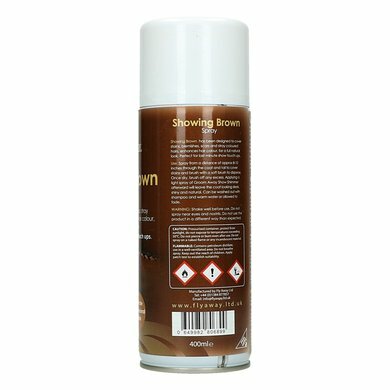 The Show Brown is a professional concealer. Designed to cover stains, scars, stray colored hairs and yellow spots. Perfect for last minute touch-ups. 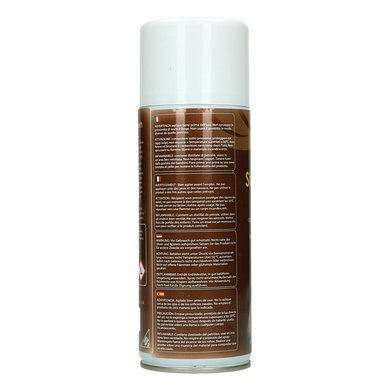 Before use, spray the spray directly onto the coat, then match with a soft cloth. Within a few seconds the result will be visible. 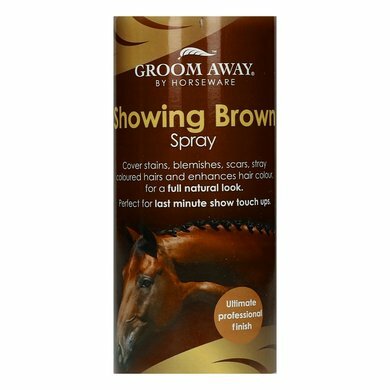 Let the Show Black be the ultimate finish of your horse!